A re look at items of our past, focusing on the good and the bad. To show where we have been and where we are going. 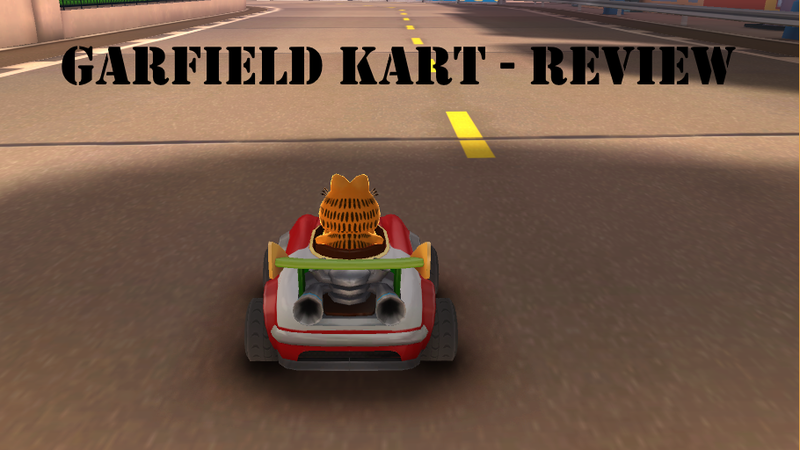 Up next is Garfield Kart, a game picked up at a bargain price and played for a few hours. A game best described as a Mario Kart lite game. In the 90s/ early 00s, kart games were all the rage and Garfield Kart aims to bring you back to that feeling. “Join Garfield and his friends in the funniest fast and fur-ious game! What character do you want to play with? Garfield, Odie, Jon, Nemal… you choose! Take part in no-holds-barred crazy races” – Steam Description. But do you remember any of the characters that are not the main three? Us neither. Game features 16 different circuits around the Garfield cartoon show. Garfield’s neighbourhood, the city and Mally Supermarket to name a few. 8 Driver Characters are available with Garfield, Odie and Jon been the main three. Then other kart game features like powerups, difficulty levels and customisation are available. The features aim to keep you playing with you only getting 2 drivers to start off with – however they are Garfield and Jon – so why unlock more? Having played many kart racers, we tried it out. Driving seems slow and the roads are way too wide to make it a competitive game. The rubber banding is so weird at times, to help if you are too slow or too quick – sometimes it felt way to strong. Powerups are imaginative and different to Mario Kart to an extent. However, getting powerups at the right time seems to be a big problem. Getting a spring to put behind you when everyone is ahead of you is an issue. Does it hit the mark? Sadly not quite. However at its current price of 3.99, is it worth it? Yes. In the bargain bin in might be but looking for a quick fix to get your racing fix. Go for it. Released – 7 Nov, 2013.